I know what you’re thinking… Roxy, you build websites. Why are you telling me I don’t need one? Here’s the thing: I’ve built websites for over 10 years. I have watched businesses succeed, I’ve watched businesses fail, and the one thing that sets every one of them apart is a plan. 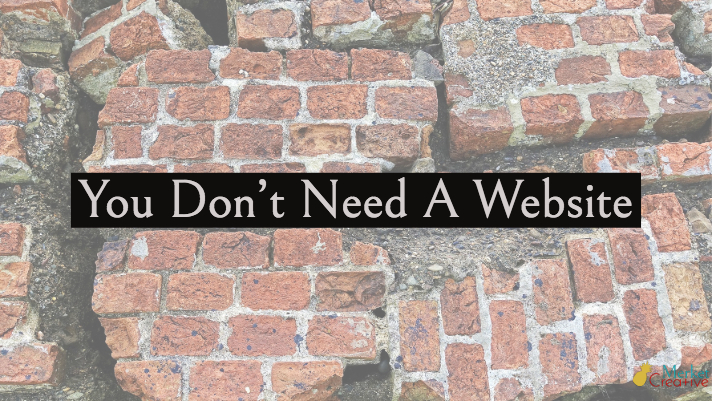 If you think all you need is website… you’re planning to fail. 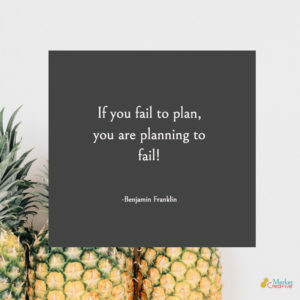 If you think of you all you need is to do is set up your social media channels and you’ll “figure it out as you go”… you’re planning to fail. If your marketing strategy is Field of Dreams… you’re planning to fail. I see some websites – And I’ve built so many websites like these at my client’s request – that are just “simple” sites. Don’t get me wrong – I strive to make every website I build absolutely beautiful. But nobody ever sees it. Okay okay, maybe somebody sees it. Maybe their mother shares it with her best friend then says look how professional. Look how impressive this is. But is it really impressive or professional of nobody comes to see it? Beautiful isn’t good enough anymore. Your website should be part of a bigger digital marketing plan. You should have a strategy and a plan around your social media, how it feeds to your website, how your website feeds to your social media, the action you want people to take when you have their attention, what you want them to do when you don’t have their attention, how you’re going to get their email on your newsletter, and how you convert them into buyers. Everything should revolve around a central goal. A funnel. A plan. The copy on your website should be carefully crafted to serve your customers while serving the plan. The images should be carefully curated to serve the plan. The colors and fonts you use in your branding should serve the plan. If you follow Merket Creative at all, you’ll notice some big changes coming up in the next few months. I’m pulling out the big guns to offer you a better service. Not just websites. I’ve got the experience, education, and prowess to help your business succeed. I don’t want you wasting your time or your money on a pretty website that does nothing for you. So stay tuned… I’m so excited about the changes that are coming.